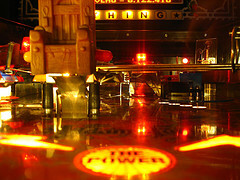 Here’s a question: what is the most culturally, historically or aesthetically significant pinball machine of all time? Humpty Dumpty? 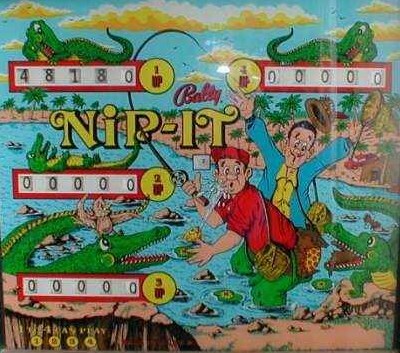 Nip It? Gorgar? The Addams Family, perhaps? 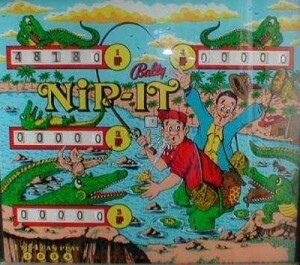 Bally’s Nip-It, from 1972, featured in Happy Days, set in the ’60s. Go figure. A team of researchers at Northwestern University recently decided to try to figure out what criterion best predicted a film’s inclusion in the Registry. These guys headed over to the Internet Movie Database (IMDb) (which apparently is a film version of our own very wonderful Internet Pinball Database (IPDb)) and carried out some hard-core Big Data analysis on the fifteen thousand odd films there, taking into account subjective metrics like critical review and awards as well as objective ones like box office sales. What these boffins discovered is that none of this was good at predicting if a movie made it to the National Film Registry. The thing they found that was correlated most closely with making it onto the Registry was how many times a film was referenced in later movies. That’s not so surprising. After all, Google uses the number of links to a site as an indication of its importance, and in academia the number of citations a paper receives is used as a guide to its importance. Now we haven’t (yet) got a National Pinball Registry in the pinball world, but here’s the thing: What if we take a look at which pinball machines have been referenced most frequently by later machines? References could be sound clips, phrases or graphics from previous machines, artwork that echoes an earlier title’s art – anything, in fact, that gives a nod to a title from the past. 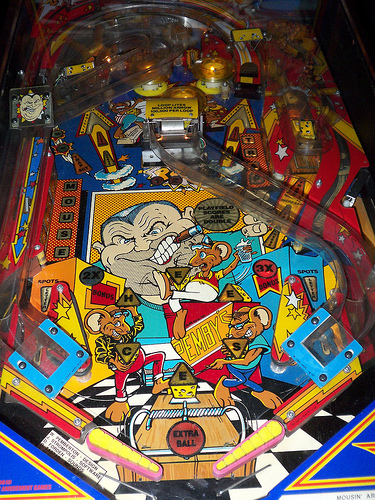 By doing that we can come up with an objective measure of the most culturally, historically or aesthetically significant pinball machine of all time. Pat Lawlor‘s games seem to have done particularly well. But then he does seem fond of self-referentialism, if that’s a thing. And with the quality of his games, why not? referenced by Congo, Judge Dredd, Word Cup Soccer ’94, Theatre of Magic, and Bride of Pinbot 2.0, Junkyard, Scared Stiff, Revenge From Mars, Monster Bash and Flintstones. Maybe even TOTAN too. 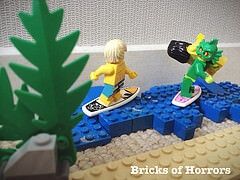 That’s good news for Creech owners – until we find some more references to other machines. And unexpected perhaps, considering that the movie of the same name has never made it to the National Film Registry. If you think we have missed any obvious references, particularly to the titles mentioned, do please get in contact and let us know. 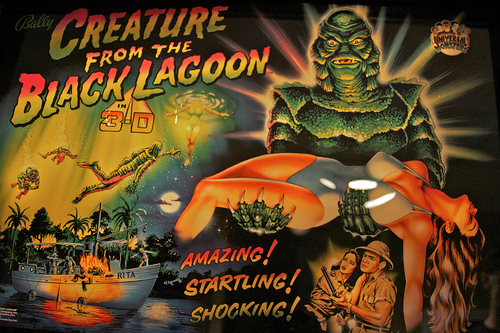 And which movie was calculated by the boffins at Northwestern to be the most culturally, historically or aesthetically significant movie of all time (despite the pinball machine of the same name having no references to it yet)? The answer is The Wizard of Oz. Special thanks to Jonathan Joosten and Pinside members ALY, jackofdiamonds, DugFreez, Rum-Z, supermatt, loneacer, Taygeta, beaglePuss, HOOKED, Newsom, rai, rollitover, Axl, EchoicStriker, mwong168, EchoVictor, MonkeyGrass, Starscream, calvin12, Kineticross, supercombo, GoodToBeDad, jathomp22, 27dnast, Jojo1111, Miguel351, balzofsteel, mjenison, Robotoes, Hi-Fi, mmr61184, Jgaltr56, kosmo, Thor-NL and any others we have missed out. Actually, Creature has even more references than those listed. *Tales of the Arabian Nights* has a “Move your car(pet)!” joke, several of the drive-in characters have cameos in *Judge Dredd,* and *The Flintstones* has the same angry guy trying to order a bronto rib as well. 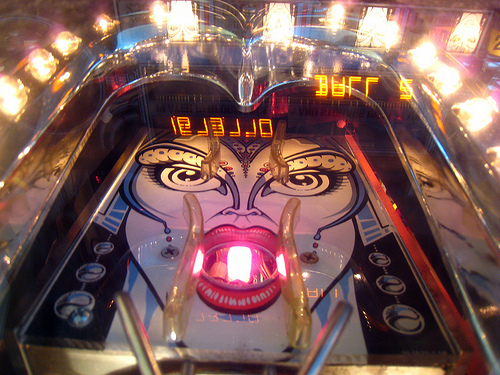 Would Doctor Who not be a reference to Pinbot in the core multiball mechanic? Creature is also in Monster Bash, right? Wow, lots of refs. I don’t suppose it’ll affect the published findings, but is Taxi a record-holder for having the most references to earlier games (six, on the translite ‘Play Now’ poster)? Of course, Twilight Zone has the sounds of Pat Lawlors’ five previous games, and there’s that button-code routine on Star Trek Next Gen that dislays the emblems of Steve Ritchie’s previous designs. I was shown it once, but can’t recall how many games are in it. Yours, david (aka Jay Walker).